In the race to become the first state to offer legalized online poker and/or gambling, Delaware just picked up a little momentum. The Delaware State Lottery issued a request for proposal (RFP) that allows companies to bid on providing a number of services needed to operate online gambling sites. The vendor services required by Delaware gaming officials are in the areas of technology, support services, game content and operations management. While many states such as Hawaii, California, Iowa, Mississippi and Pennsylvania are considering online gambling regulations, Delaware and Nevada remain the only two states that have enacted such legislation. The New Jersey state legislature has also approved online gambling regulations, but the fate of that bill lies upon Gov. Chris Christie, who has until tomorrow to decide whether to sign the bill into law or use his veto powers. Nevada’s statute calls for online poker only, while Delaware is preparing to offer poker, keno, bingo, video lottery games and casino table games via the Internet. Although the recently issued RFP does not include Delaware’s plans to integrate its lottery system and proposed sports betting system to the realm of virtual gaming, those options may come into play in the future. Delaware would like its chosen vendors to be prepared to have online gambling sites up and running by Sept. 30. Nevada has had a huge lead in being the first state to go live with online poker since approving legislation in December of 2011. The Silver State has been busy scrutinizing interactive gaming license applications of more than three dozen applicants and has thus far awarded 19 such licenses in various categories. It was originally thought that the first online poker sites would be operating in Nevada late last year. But repeated delays in such areas as laboratory testing of the gaming software and technology has pushed the estimated launch to sometime this year. Should the Silver State face any more delays in getting its product online, Delaware has a chance to be the first state to legally offer online gambling. 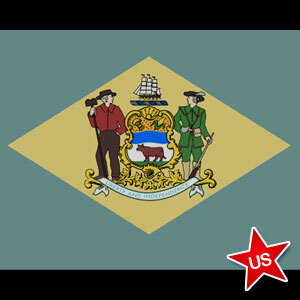 Delaware requires potential vendors to have been operational in real-money gaming for at least one year in regulated markets of North America or Europe, iGaming Business reported. Applicants seen as primary vendors have a two-year minimum operational requirement and must also have operated at least 30 games for no less than one year. The Delaware State Lottery has scheduled April 1-12 for vendors to orally present their bids.